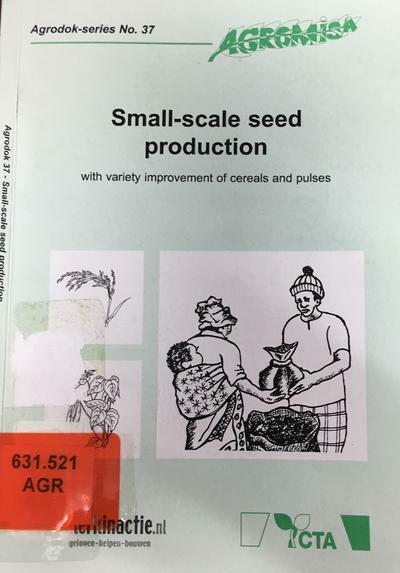 Seed production and the maintenance of crop cultivars by small farmers is a subject that has attracted increasing attention over the past decade. The increasing dominance of large multinationals in the seed trade, the controversy over genetic engineering, and the recognition of farmersí rights over cultivars developed by them over the course of many years have all highlighted the importance of the maintenance of farmer capacity and capability in seed production. This Agrodok hopes to contribute to the skills and references at the farmerís disposal. It has been written with frontline extension staff and skilled small-scale farmers in mind. It deals with the general principles and practices of cultivar maintenance and seed production, and makes reference to specific issues regarding cereal and legume seeds. It is hoped that follow-up booklets will deal with specific requirements of other important crop groups.